Lay witness testimony and written statements can be one of the most important pillars that will make your Rhode Island personal injury cause of action successful. Normally, the first step in collecting evidence on any RI personal injury or car accident case is locating all potential witnesses of the motor vehicle accident. Personal injuries arise from various types of accidents such as truck collisions, auto accidents and bicycle mishaps. Lay witnesses can be critical to winning your Rhode Island slip and fall, motor vehicle or motorcycle accident claim. These individuals can help connect the events preceding the crash and explain and give context to the Providence accident. 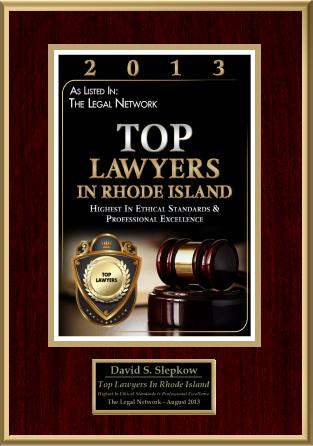 There are four major elements to a Rhode Island negligence cause of actions: duty, breach, causation and damages. Lay witnesses help in making the four elements connect. The connection will therefore help determine how weak or strong the case will be. So what are some of the significance of lay witnesses towards determining the likelihood of success of the RI tort case? They may help in collecting evidence. Fillings the gaps in other available evidence. Testimony based on their first hand knowledge will help cover up the gaps and make the available evidence connect. Acts as intermediaries where other sources of evidence are incomplete; currently, there are many sources of information that are getting more recognition in the litigation process. Some examples are drug tests, video and audio recordings and surveillance cameras’ footages, mobile phone evidence, DNA test among others. 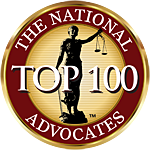 They are therefore creating new dimensions in which personal injury cases are litigated. However, they are prone to limitations such as incomplete or broken information. Such evidence can therefore be complete by an individual with firsthand testimony. Supplementing information from other relevant sources. After all, a Rhode Island and Providence Plantations court is a human institution and will always be. Although, technology and science has played an important role in winning cases, human knowledge, observation and recollection may carry an almost similar weight to the opinions of experts. The lay witnesses’ significance and capabilities can therefore not be downplayed. Giving some general but important information that the expert car accident reconstruction expert witness may have downplayed or missed. 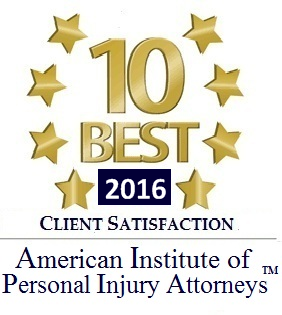 In Rhode Island personal injury and RI car accident cases, there may be some personal information that is very essential. A good example is the negative post- injury lifestyle adjustments such as sexual dysfunctions, pain and suffering, diet change, general demeanor or physical limitations. Friends, spouse, colleagues as well as the family member testimony will therefore help the jury establish such changes in demeanor and lifestyle. The information they provide may provide an essential back-up to the more dispassionate and technical testimony from the Rhode Island automobile or premises liability experts. Some injuries may look slight or insignificant to a neutral third part observer such as a juror or justice of the providence superior court. Therefore, testimony from friends, family members, spouse ( husband or wife) may be necessary testimony in showing the context of how an injury in a Rhode Island automobile or trucking crash affected the injured victim’s lifestyle. Establishing the impact of the Rhode Island motorcycle, semi- truck or car accident injury to the plaintiff’s, mental, physical and psychological well-being. Compensation awarded by the jury will depend on the mental, physical and psychological impact of the injury on the plaintiff. Lay witnesses in Rhode island Kent County, Providence County or Newport Superior Court are therefore very important in drawing the real picture of how your injury affected you at work, home or socially. Basically, the evidence of colleagues at work, friends and family may be necessary. Identify all your available accident witnesses and get their contacts as soon as possible. This will help your Rhode Island personal injury attorney and the expert witnesses to follow up with the slip and fall or car accident witnesses before and during the injury lawsuit. Obtain information concerning or relating to the RI motor vehicle accident as soon as possible after the Barrington, Central Falls, Bristol, Warren or Pawtucket incident, collision or crash. If the witnesses don’t expect to testify in court, the witnesses are likely to forget the information shortly after the accident or incident. In that case, the information they will provide will be broken or different from what they witnessed. Therefore, interviewing or obtaining a signed statement immediately after the unlawful bouncer assault, fatal RI motorcycle accident, slip and fall or construction incident can be crucial. It is essential that your Rhode Island slip and fall lawyer speaks with and interviews the witnesses early and make them aware of the pending claim and the possibility of their testimony. If the witness recollects facts which supports the negligence of the at fault defendant tortfeasor then the personal injury lawyers in Rhode Island may have a written statement prepared and then signed by the witness in front of a Rhode Island notary public. A written signed statement will help the RI car accident lawyer impeach the credibility of the witness if the witness later recants his or her statement or changes significant facts. Determine the sequence and the flow of their information. This will help give flow to the available evidence and ensure proof for every tort claim. Prepare (without influencing their testimony unlawfully) your witnesses for the negligence trial on the merits. Getting a lay witness ready to face the Rhode Island and Providence Plantations Superior Court jury will be one of the hardest parts of your case. Lay witnesses fear testifying in court normally due to bad portrayal of the court in society and fear of uncertain consequences of testifying. Helping the witness deal with that fear may be one of the most important part of the preparation of the Rhode Island wrongful death fatal car crash trial on the merits. Make them feel comfortable to speak the truth and help the Providence County jury serve justice. When lay witnesses are involved, having an experienced Rhode Island Personal Injury attorney / lawyer on your side and in your corner is very important. He or she will prepare them for their testimony and know what facts to present and supplement their testimonies towards building you a solid Rhode Island car accident case.